If you’re craving something sweet, check out this fun and easy tropical treat! *Be sure to ask an adult for help to slice the fruit. Arrange sliced kiwi like leaves on the top half of your plate. Place sliced banana down the middle to create your tree trunk. 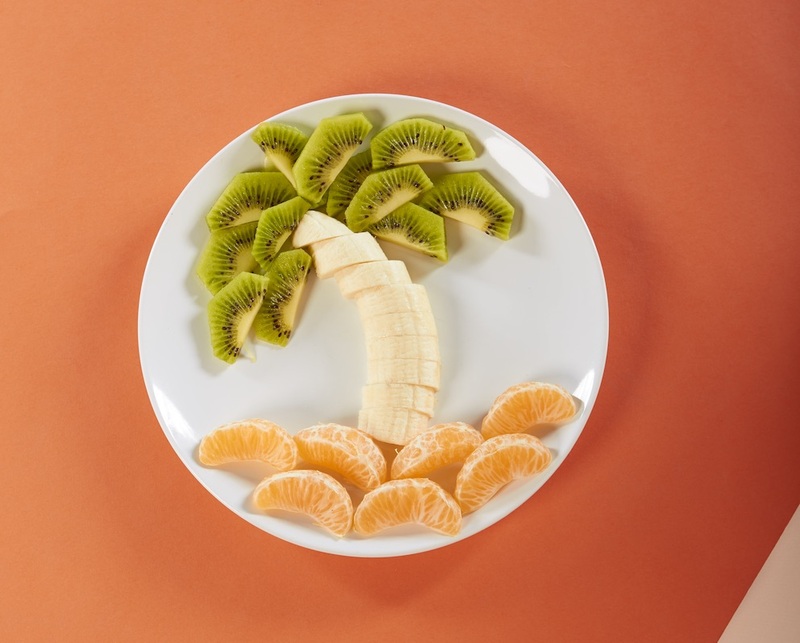 Decorate the bottom of the plate with orange wedges to create a beach! Shake it up for St. Patrick’s Day!